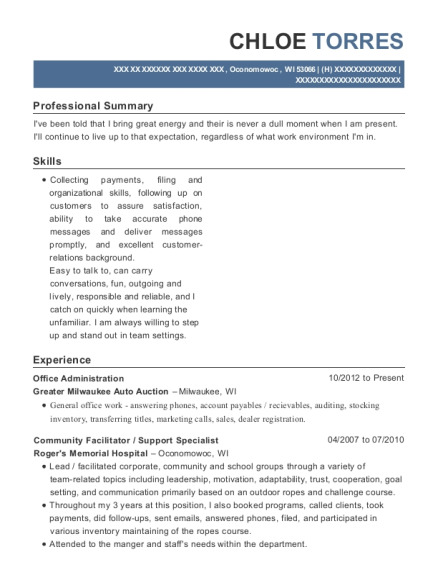 Accounting professional dedicated to high levels of customer satisfaction and meeting aggressive business goals.Passionate and motivated, with a drive for excellence. Alto Group is a leading Australian Sydney automotive group. Alto has dealership such as Audi, Land Rover,Holden, Toyota, Volkswagen etc. Develops buyers by maintaining rapport with customers; suggesting trade-ins; greeting drop-ins; responding to inquiries. Qualifies buyers by understanding buyer's requirements and interests; matching requirements and interests to various models. Demonstrates automobiles by explaining characteristics, capabilities, and features; taking test drives. Eltek is a global company which specialized in high-efficiency power electronics and energy conversion. It has customers across a variety of industries including Telco, Oil and infrastructure and solar energy. Resolve customers'queries,disputes in a professional and timely manner. 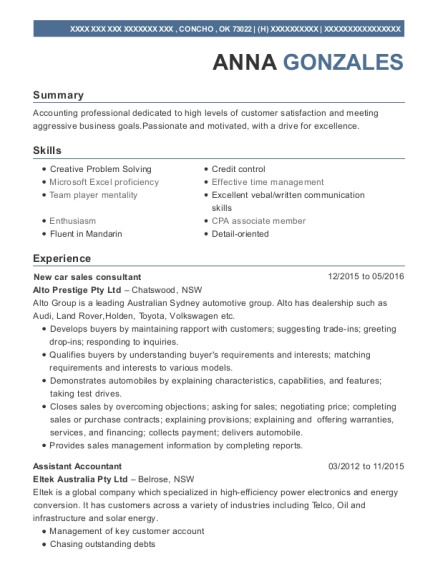 This is a resume for a New car sales consultant in CONCHO, Oklahoma with experience working for such companies as Alto Prestige Pty Ltd and Eltek Australia Pty Ltd. 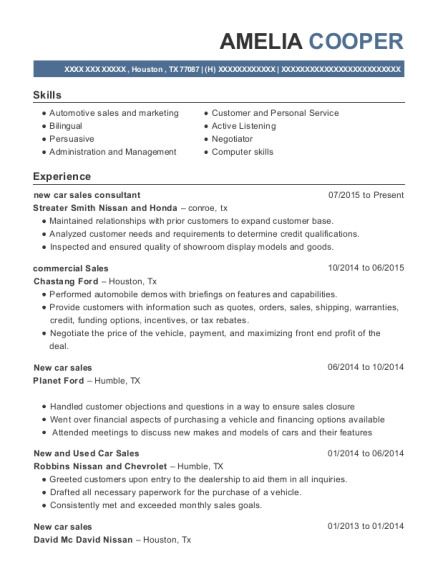 The grade for this resume is 0 and is one of hundreds of New car sales consultant resumes available on our site for free. 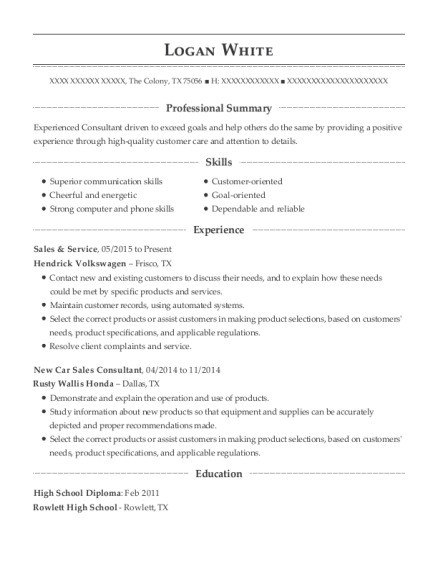 Use these resumes as templates to get help creating the best New car sales consultant resume.